Several things can affect the way the nerves in our feet feel things. Some nerves can become trapped and compressed by other structures, causing shooting pains, tingling or numbness, e.g. Some diseases cause deterioration of the nerves of our feet. There are 6 separate nerve in the feet. 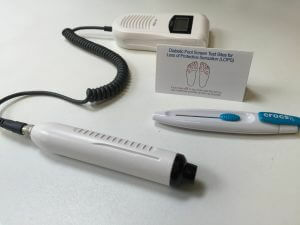 Podiatrists at 'Fitter Feet For Life' can help diagnose which nerves are affected and discuss how to best manage your problem.